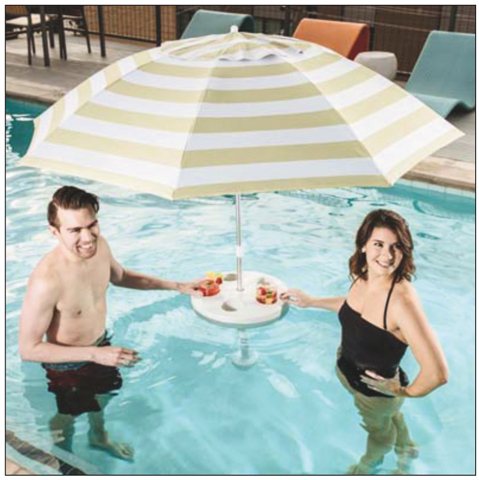 Pool Buoy Plus offers two color choices in a vented umbrella, Coconut Cream and Navy. The Coconut Creme includes a Pool Buoy Leash for keeping the Pool Buoy in place. Pool Buoy Leach not available in the Navy color. 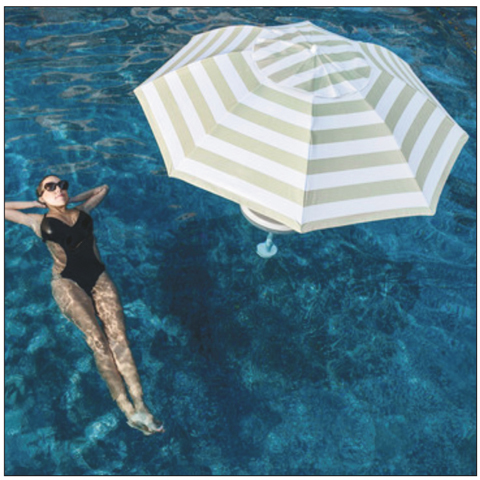 Pool Buoy (bo͞o-ē) is the first and only floating pool umbrella, a revolutionary development in water recreation that is elevating pool time to new levels of fun and sun protection. It's a seven foot umbrella that floats in any body of water deeper than 2 feet - pool, lake, river, ocean, Spa you name it. It is light-weight, easy to assemble, and has five cupholders for your favorite beverages. 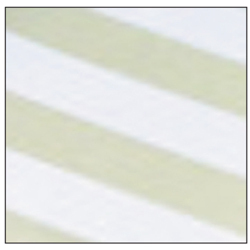 You can cool off, unwind, and enjoy the sunshine without risking sun damage. Gotta love that! 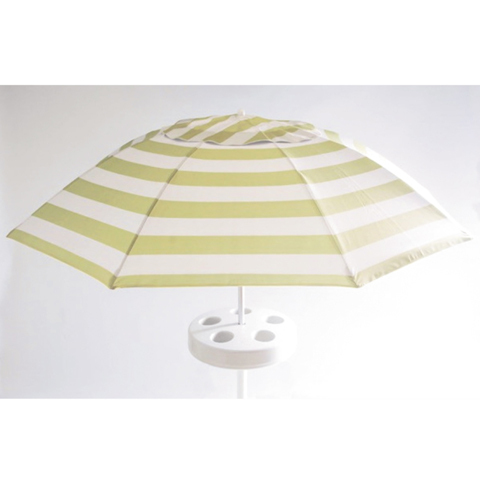 The Pool Buoy is a 7' beach-style umbrella made of aluminum and UV-rated fabric. 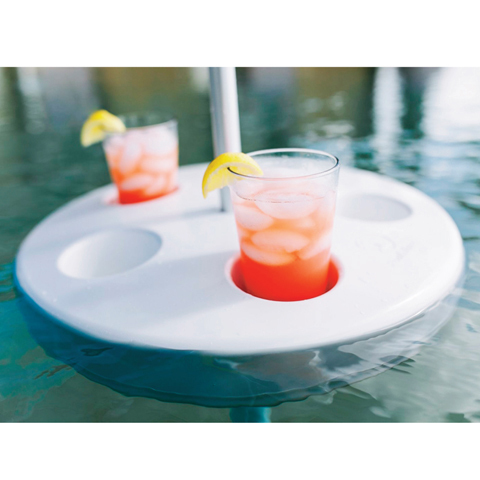 It simply drops into a hole in the floating tray that has a weighted buoy at the bottom. The specifically designed buoy allows the umbrella to float freely, yet keeps the table stable in wind and waves. This is a must-have to display in the showroom. You’d be surprised how wind works with an umbrella that’s actually in the pool, versus an umbrella on the patio. The Pool Buoy umbrella is significantly closer to the ground, and less wind is able to reach under the umbrella to whisk it away. 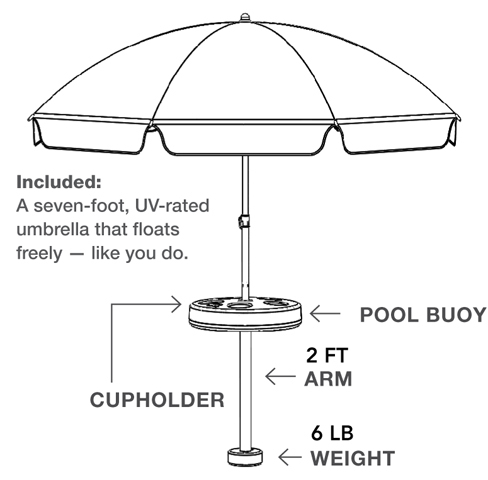 Pool Buoy’s design lowers the center of gravity for the umbrella and has built-in friction points, making it fairly difficult for wind to lift the umbrella from the buoy. Of course, Mother Nature speaks her mind every now and then with a surprising gust. When it happens to us, we carefully grab the pole until the wind dies down. One way to prevent those gusts from getting the best of you is adjusting the height of the umbrella to a lower height. Yes! That's the whole magic of the buoy design. The foam-filled table top with five cupholders and ballast keep the buoy upright even in wind and waves. Not unless you wrestle it down, and even then, it will pop back up. The Pool Buoy is designed to withstand wind and waves. Don't believe us? Check out the videos on our website. It doesn't even flinch when the waves are high enough to leap out of the pool. No, the Pool Buoy is made of all-custom parts to keep you, your family, and your pool safe. The umbrella is made of aluminum so it won't rust in your pool, too.